The historical world of the first century Israel is fascinating to those who wish to understand more about Jesus’s life and ministry. Interestingly, there is a gap of about 300 years between the end of Old Testament and the beginning of New Testament in Scripture. The question is: what happened in the land of Israel and Judah in the few centuries leading up to the time of Jesus? During that time, there was no kingdom or geographical region called Israel. 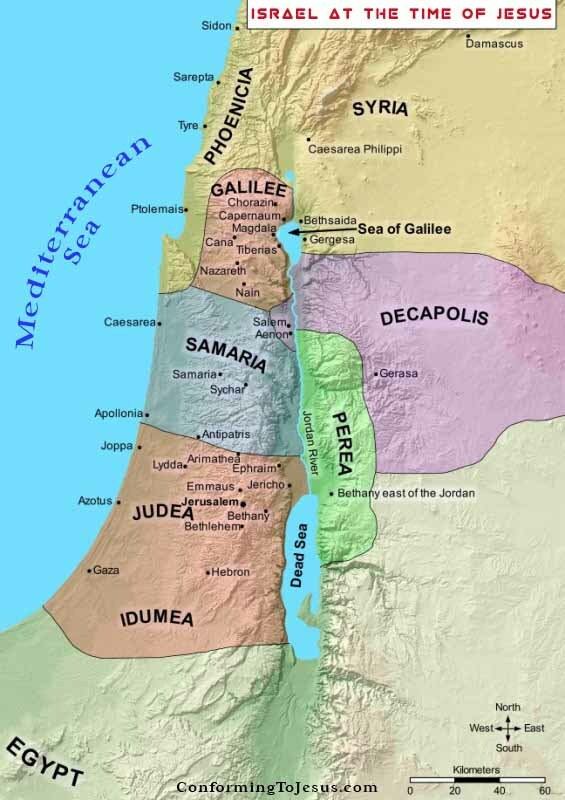 The area was divided into smaller territories: Galilee in the north, Samaria in the central hill country, and Judaea in the south, all under Roman rule. In the 2nd century AD, the Romans began to refer to the region as Palestine. This became the catch-all term for the region until the birth of the modern state of Israel in 1948. Herod the Great, a military general and astute politician, was a complex man. Racially, he was an Arab from Idumea, Religiously, he was Jewish. Culturally, he was Greek. Politically, he was Roman. Herod knew how to win the favour of the Roman rule through lavish receptions and was perceived to be a man who could bring order to the province and ensure a continual flow of revenue to Rome. As a result, he was made king of Judaea by the senate of Rome. Herod the Great was the one who sought to kill baby Jesus by slaughtering all the infant boys (Matthew 2). Jewish historian Josephus recounts how Herod engaged in a massive building project to renovate the Temple in Jerusalem. It is no wonder that one of Jesus’ disciples pointed out the magnificence of Herod’s temple and the size of its stones (Mark chapter 13 verse 1). Herod Antipas (also referred to as Herod the tetrarch) was the son of Herod the Great who ruled over Galilee. He was the one who had John the Baptist murdered (Matthew 14) and whom Jesus was sent to during His trials before crucifixion (Luke 23). For most of his life, Jesus lived under the rule of Herod Antipas. Herod Agrippa I, grandson of Herod the Great, persecuted the church in Jerusalem and had the apostle James put to death. Agrippa’s son, Herod Agrippa II, was the one who saved Paul from being imprisoned by the Jews for being a Roman citizen (Acts 25). Agrippa II was the last of the Herod dynasty. After him, the family fell out of favour with Rome. This is a challenge to all who claim to follow Jesus to this day. Who were the priests during the time of Jesus? Although the main function of the priests was to serve in the temple, some also had political authority. The high priest was the head of all priests whose authority fluctuated under the Herod dynasty. Caiaphas was the high priest from 18-36 AD who condemned Jesus and had him sent to Pilate, who was the Roman governor of Judaea at the time. A number of priests made up the Sanhedrin, the supreme council in ancient Jerusalem and the ruling body over Jewish affairs. They maintained strict laws of purification. The Sanhedrin opposed Jesus and his followers, but one member, Joseph of Arimathea, took Jesus’ body to be buried. Pharisees and Sadducees were Jewish sects. Pharisees were concerned with the exact and precise study, teaching and keeping the Law of Moses referred to as Torah. They also believed in the coming Messiah, but not in Jesus. Two notable exceptions were Apostle Paul and Nicodemus. Sadducees were concerned more with keeping the status-quo and economic stability, cooperating with foreign rulers. They did not believe in the resurrection of the dead or the existence of angels and demons. Another Jewish sect called the Essenes, not mentioned in Scripture, were committed to ritual purity, simple living, non-violence and celibacy. Some scholars claim that John the Baptist was an Essene as he lived in the desert resembling their lifestyle and practiced the baptism requiring a change of heart. But this is not proven. All these Jewish groups shared something in common with Jesus. They all had a hope for the future and for God’s intervention. But few believed that Jesus would be their Messiah. This article is a very brief introduction to the historical context of Jesus’ day. It is interesting to survey the geographical, political, economic, religious and social world of the 1st century Israel/Palestine in more detail. It would especially benefit those who wish to travel to Israel on a pilgrimage or study tour immensely. 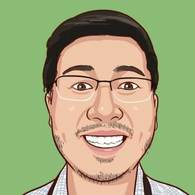 Daniel Jang is a creative professional, senior writer, speaker and sports chaplain. He is the inaugural winner of Press Service International’s Basil Sellers Young Writer Award and holds an MA degree from Moody Bible Institute (Chicago).